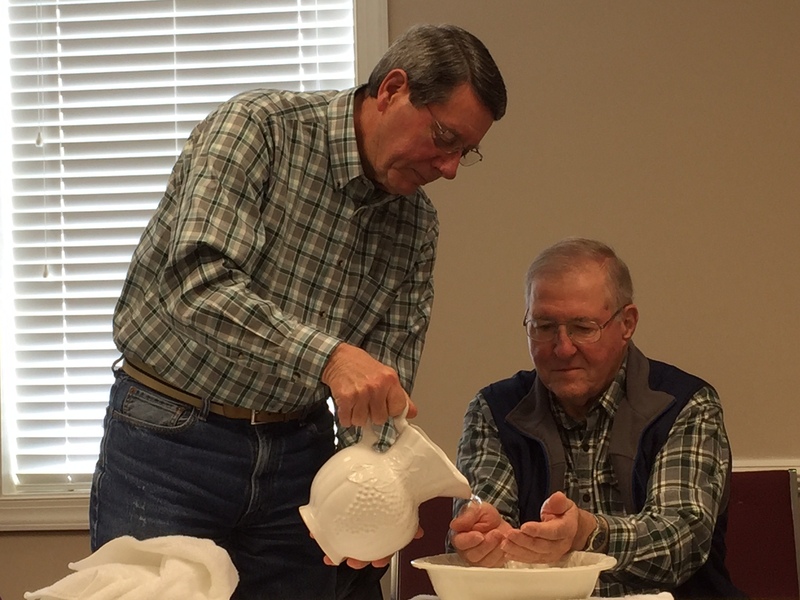 Disciple IV classmates participating in a solemn hand washing, reminiscent of Jesus washing His disciples feet. 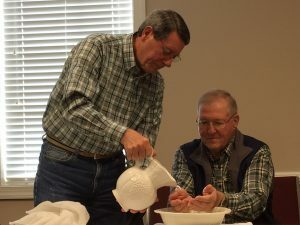 The Winter sessions of Disciple I will be held on Wednesday afternoons, and Disciple II will be offered on Thursday mornings. Also, a continuation of the Disciple series called “Jesus in the Gospels” will be held Friday mornings. **It is required that participants complete Disciple I before going on to the subsequent courses.